Two blaugranes are now in the final in Russia. 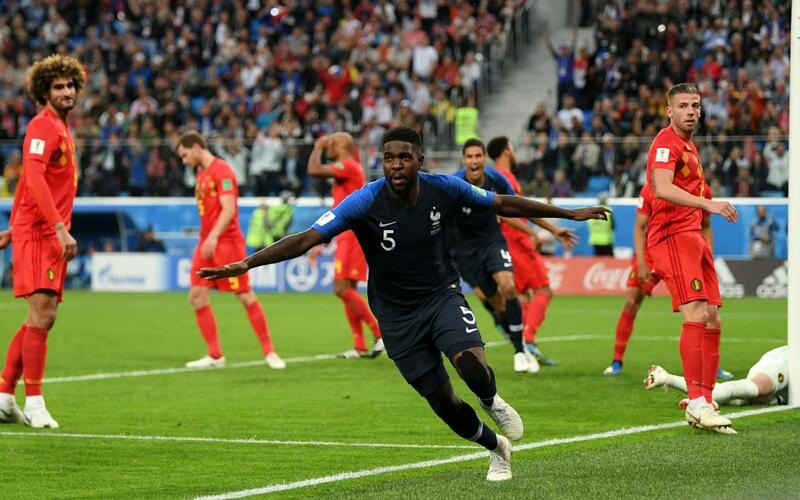 Samuel Umtiti and Ousmane Dembélé’s France defeated Vermaelen’s Belgium 1-0 in a very tight game which was dominated by fantastic performances from the two keepers. The blaugrana central defender’s goal at the start of the second half was the difference between the two sides. The match saw two very talented teams playing well from the start. However, the scoreboard didn’t change as Courtois and Lloris saved well on multiple occasions. The half ended with the score at 0-0. Samuel Umtiti started the game while Dembélé and Vermaelen stayed on the bench throughout the game. Umtiti was the star of the show in the second half which was key to taking France into the final. His powerful header made it 1-0 in the 51st minute. The goal brought France to life but Belgium refused to give up and continued to look for a goal but they were unable to convert. France will find out who they will play at 5.00pm CEST on Sunday when Croatia play England on Wednesday. The final could see blaugranes playing for both teams if Rakitic’s Croatia get through.